Union City was incorporated in 1959, a merging of the towns of Alvarado and Decoto. The first mayor of Union City, Tom Kitayama, was the first Japanese American mayor in the United States. 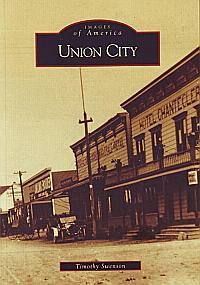 Union City was a small town with a population of 6,000 and lots of farm fields. In 50 years, the population would climb to 70,000 and fields would be replaced by homes, shopping centers, schools, and industrial parks. Author Timothy Swenson includes many pictures the demonstrate this change.